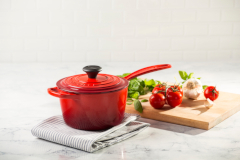 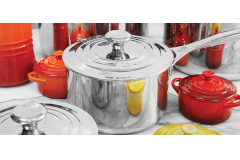 Le Creuset Cast Iron Sauce Pans are inspired by French design. 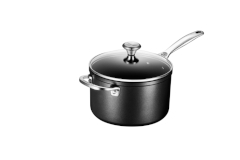 What makes it a sauce pan is its higher sides which helps you stir, mix and cook sauces with out spilling them. 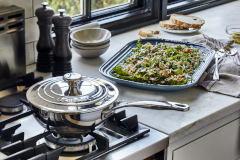 The rounded bottom also keeps ingredients from sticking in the creases of the pan.